Mercure Manila Ortigas is a four-star hotel centrally located in Ortigas Central Business District in Pasig City. Situated along San Miguel Avenue and right across the iconic headquarters of San Miguel Corporation, Mercure Manila Ortigas primarily caters to business travelers who are on a short or long-term assignment in some of the multinational companies based in this bustling financial center in Metro Manila. 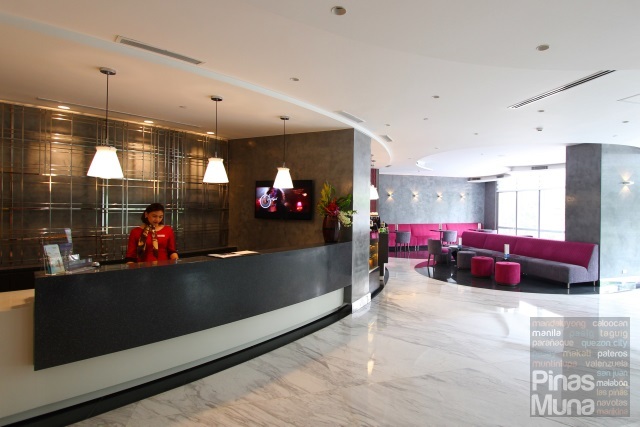 Mercure Manila Ortigas is the first Mercure-branded hotel to open in the Philippines. The property soft opened last September 16, 2016 making it the newest international branded hotel in the country. 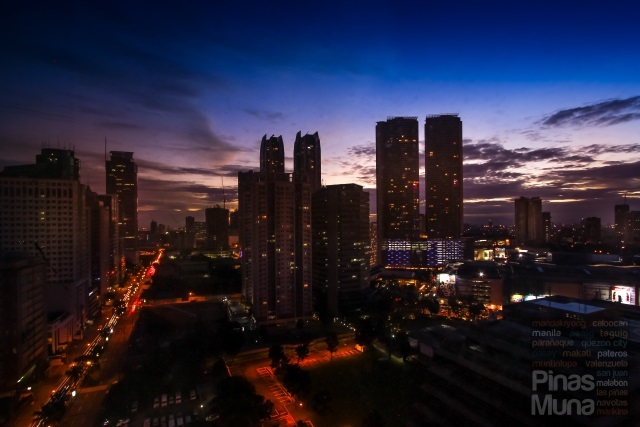 It has 150 guestrooms located on the top 10 floors (18th to 27th floors) of the 45 San Miguel Building, a mixed-use development owned by Wynsum Leisure Hoteliers. Last week, we finally got to spend a weekend staycation at Mercure Manila Ortigas. 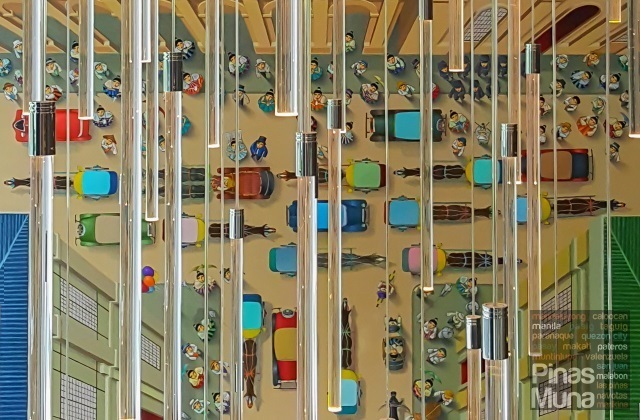 The welcome lobby is accessible via San Miguel Avenue while the entrance to the basement parking is located along Amethyst Street. One complimentary parking is guaranteed for every room booked at the hotel. The hotel's main reception area is located on the second floor of the building. Checking-in was quick and hassle-free. 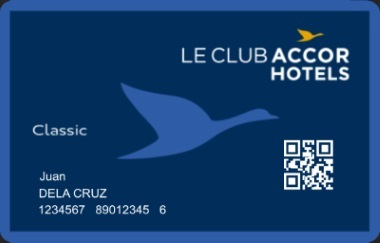 If you are a member of Le Club AccorHotels, make sure that you provide your membership number when booking a room. This will make your check-in faster as your registration form will already be pre-filled with your personal information and you just have to sign the form. As a standard procedure in hotels in the Philippines, an incidental deposit of P2,000 per night of stay is required. This can be made in cash or through credit card upon check-in. The full amount is refundable upon check-out. Membership to Le Club AccorHotels is free of charge, and once you become a member, you will instantly enjoy some of the exclusive privileges of this loyalty program. In our case, we received a voucher for two welcome drinks which we could claim anytime during our stay. 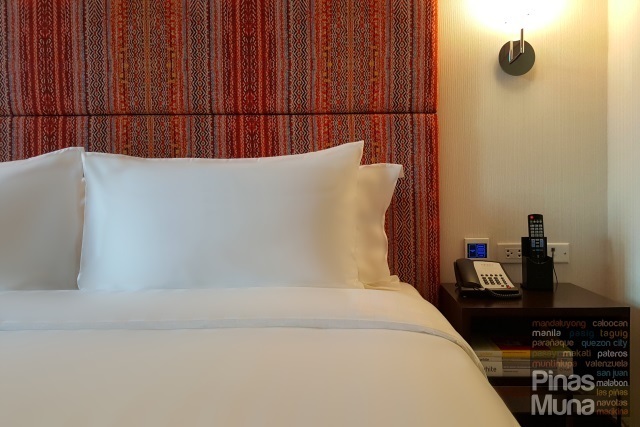 We also earned Le Club AccorHotel points from our overnight stay, and when we would have already accumulated enough points, we can then redeem these points in exchange for complimentary overnight stays at any AccorHotels properties. 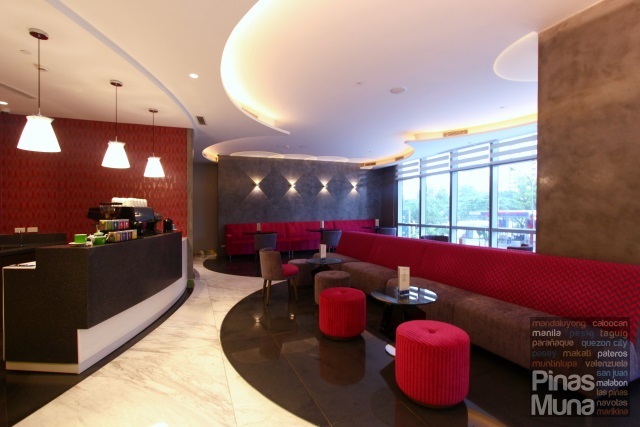 Located next to the reception area is the hotel's Lobby Lounge Cafe which serves various coffee-, tea- and fruit-based beverages, as well as some pastries, cakes and sandwiches. It is an ideal venue for quick meetings or socializing with friends. It is also suitable for those who prefer a cafe setting when working on their laptops. This is where we enjoyed our welcome drinks of caffe latte and chilled pineapple juice. We also love their playlist here which includes famous tracks from the 90s to early 2000s. Mercure Hotels is a French hotel brand and is one of the international hotel brands that form part of the AccorHotels Group. 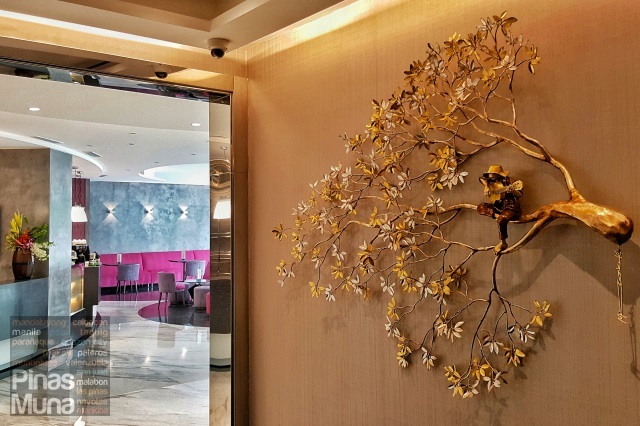 This hotel group already has a presence in the Philippines through Sofitel Philippine Plaza Manila, Novotel Manila Araneta Center, Raffles Makati and Fairmont Makati. At present, there are about 750 Mercure hotels in 51 countries around the world. Each Mercure property has its own distinct character based on the local environment (city, countryside, beachfront, mountain, etc) and the local culture. 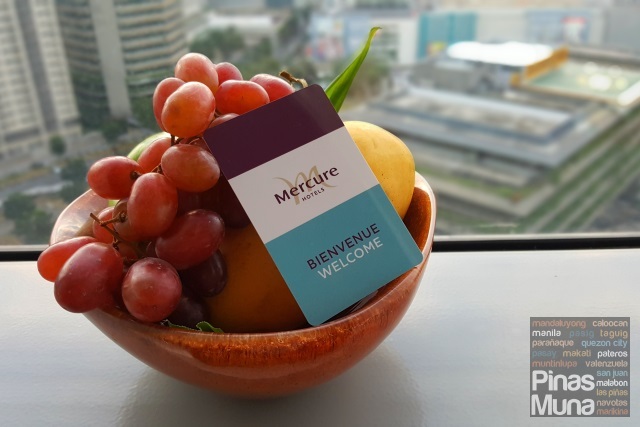 Mercure Manila Ortigas being located in the city's financial center, the hotel focuses on functionality, efficiency of service, accessibility, comfort and convenience, technology and meeting amenities. 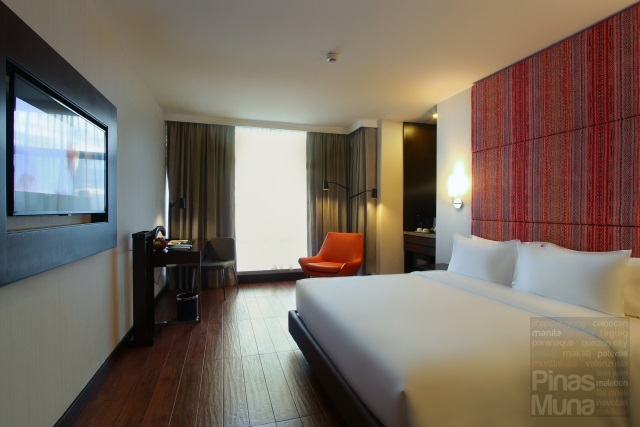 We chose a Deluxe Room with King Bed for our weekend staycation at Mercure Manila Ortigas. 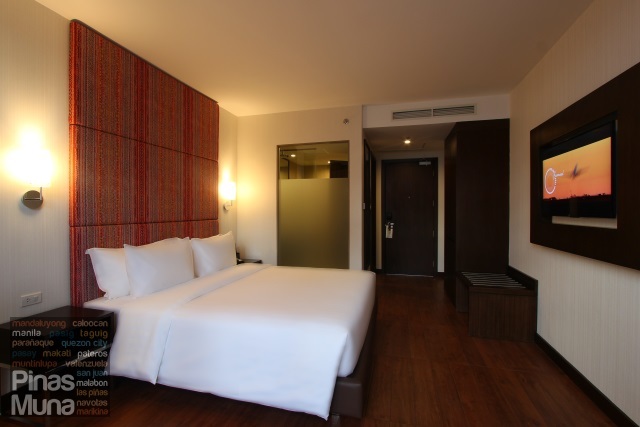 The room measures 38 sqm and is the biggest among the three room types of the hotel. We stayed at room 1901 which is facing San Miguel Avenue. It has a modern design with touches of Filipino elements of beige walls, dark wood and warm lights. The room's feature wall showcases a local handwoven fabric that adds a spark of color and character to the room. 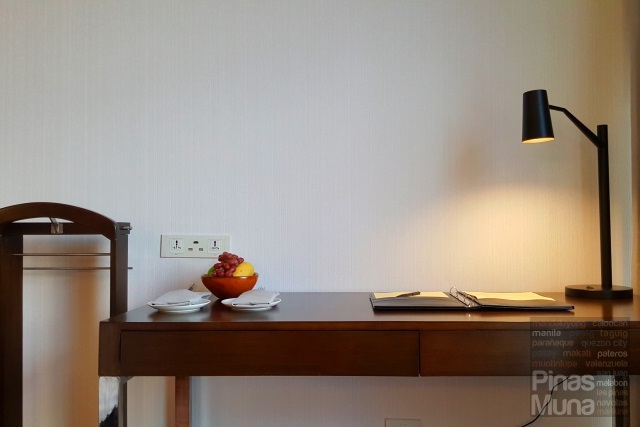 Business travelers will surely appreciate the spacious work desk with universal sockets and USB ports, so no need to worry about travel adapters. The 43" interactive TV also has an HDMI port next to the work desk so you can instantly display media from your portable devices to the TV screen. Free highspeed internet via LAN and WiFi is also available inside the room. All rooms also has a coffee and tea making facility consisting of an electronic kettle, a teapot,, sachets of instant coffee, sugar, creamer, and two sets of cups. 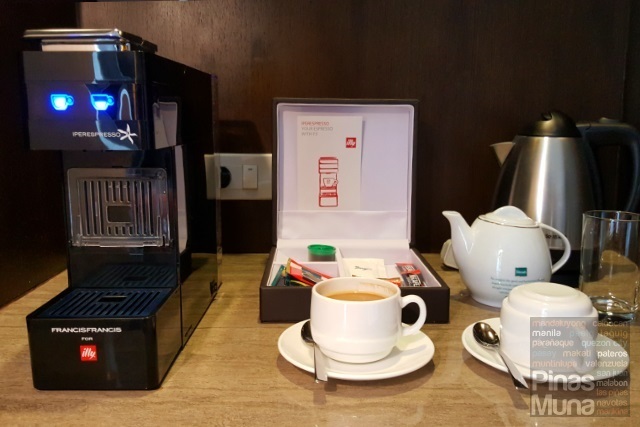 Guests staying in an Deluxe Room also enjoy additional premium amenities such as the Iperespresso Coffee Machine which makes super excellent Illy espresso and Americano. 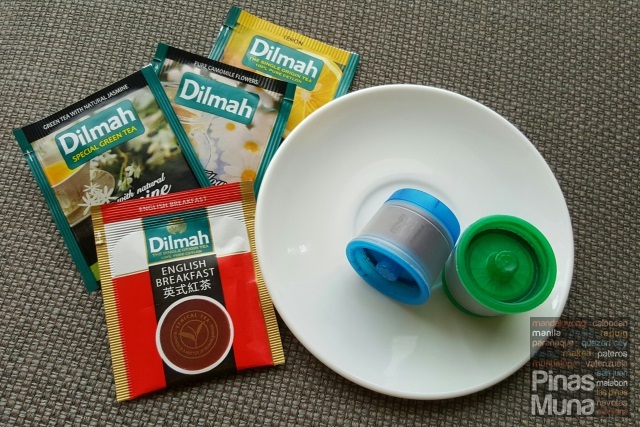 Two Illy espresso capsules and four Dilmah tea bags are provided per day. There's also a fully stocked minibar. The bathroom is equally spacious. The walls and the floor are lined with marbles while a frosted glass wall serves as divider between the shower area and the bedroom. The bathroom however is not fitted with a bathtub but I love how spacious the walk-in shower. It is is equipped with a rainshower head and a handheld shower head. Water pressure was excellent. The bathroom only has a single basin but the marble countertop is spacious enough to fit personal toiletries. Clean and high quality towels are also provided, including a foot towel, two face towels, two hand towels and two super large bath towels. Two waffle bath robes and high quality bedroom slippers are placed inside the wardrobe. Mercure Manila Ortigas provides Mercure-branded toiletries and vanity kits for guests staying in the two lower room types, while guests staying in a Deluxe Room are provided with premium quality body and bath amenities from Crabtree & Evelyn, a London-based retailer of body and bath, home spa, products and fragrances. The La Source collection of Crabtree & Evelyn features shower gel, moisturizing soap, shampoo, conditioner and body lotion which are infused with mineral salts, seaweeds and the scent of ocean breeze. As mentioned earlier, we chose a room facing San Miguel Avenue (as opposed to a room facing Amethyst Street). This is primarily because of the spectacular view especially during sundown when the sky turns bluish with stark hues of orange and red near the horizon. This is also the time when the city lights start to come to life. You should never miss this moment during your stay at the hotel. Good morning Ortigas Center! I normally start my day with freshly brewed coffee, and that is one of the reasons I chose to stay in a Deluxe Room. Having an Iperespresso inside our room is one of the highlights of our stay. 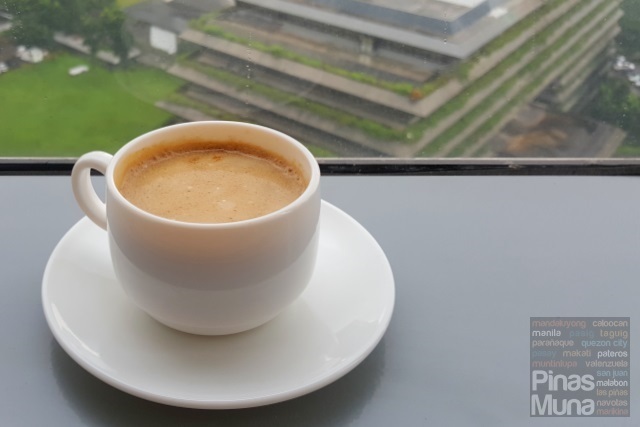 The smell of espresso inside the hotel room is one of the things that brings happiness to me, what a great way to welcome the new day. At Mercure Manila Ortigas, you have the option to book a room-only rate, or a package that includes the room plus breakfast buffet for up to two persons at Kalesa, the all-day dining restaurant of the hotel. 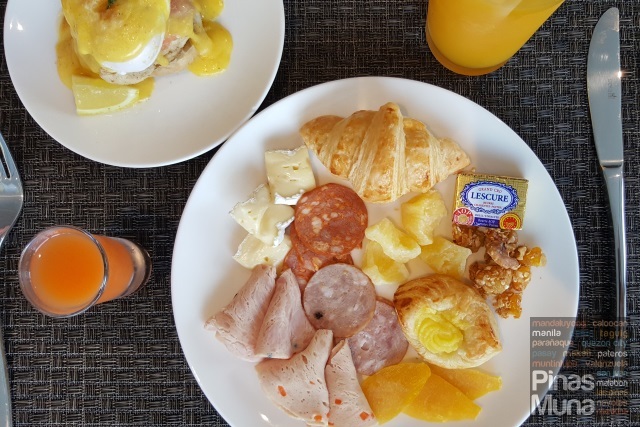 If you prefer to have heavy breakfast in the morning, I would suggest that you book a package rate which is usually lower than purchasing buffet breakfast as an add-on. Kalesa serves buffet breakfast from 6:00am to 10:00am while a la carte dining is available from 11:00am to 11:00pm. Kalesa features both local and international cuisines focusing on traditional Filipino dishes and the cuisines of the countries that influenced our cuisine such as Chinese, Malay, Japanese, Spanish and American. 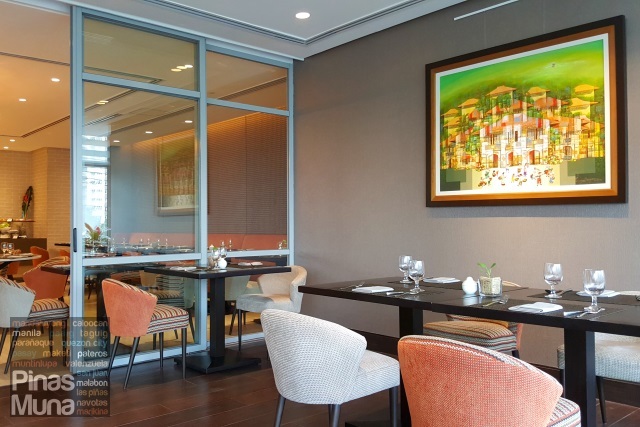 Walk-in guests can also dine for breakfast at P950.00 nett per person. Take advantage of the 50% off promo on buffet breakfast and pay only P475.00 nett per person. Promo is valid until November 30, 2016. The interior is filled with earth colors which are matched with warm lighting. The chairs and tables add a touch of modernity to the overall design while art pieces and accents provide the local Filipino vibe to the space. The whole area is very spacious. The main dining hall has an attached sunroom where diners can enjoy the view of the city while enjoying the airconditioned environment of the restaurant. 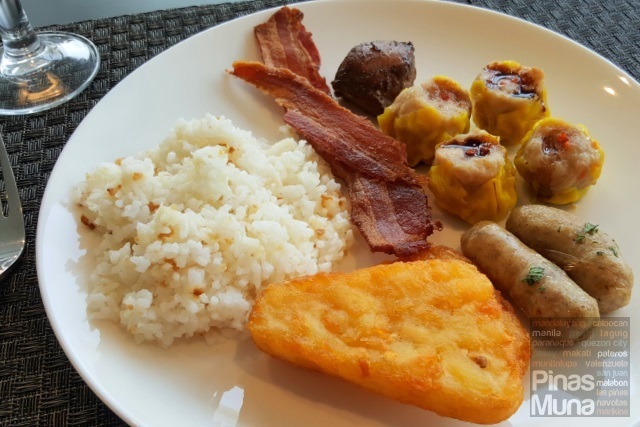 Kalesa's buffet breakfast selection is just right for a hotel of its size. There's freshly baked breads (including pan de sal) and viennoiserie (croissant, danish, pain au chocolat), various cheeses, cold cuts, fresh and dried fruits, and salads. There's also cereals, pancakes, waffles, sausages, bacon, and hash browns. You can also have scrambled eggs, sunnyside eggs, hard or soft boiled eggs, or even poached eggs made a la minute at the egg station. 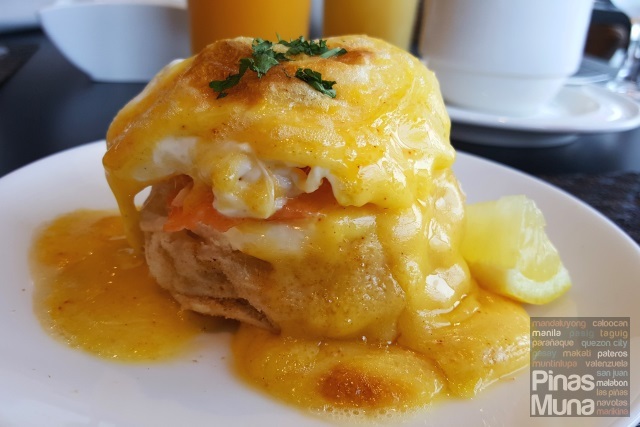 But what you should really try are their Eggs Benedict which you can have either with smoked salmon or ham. I had the one with salmon and it is was divine! For a heavier breakfast, you can start with either congee or champorado, then continue with rice or garlic rice and combine it with eggs, dimsum, adobo, bacon, sausages and vegetables. End your meal with kakanin and fresh fruits. If swimming is one of your favorite activities during staycations, we can't recommend this hotel to you. 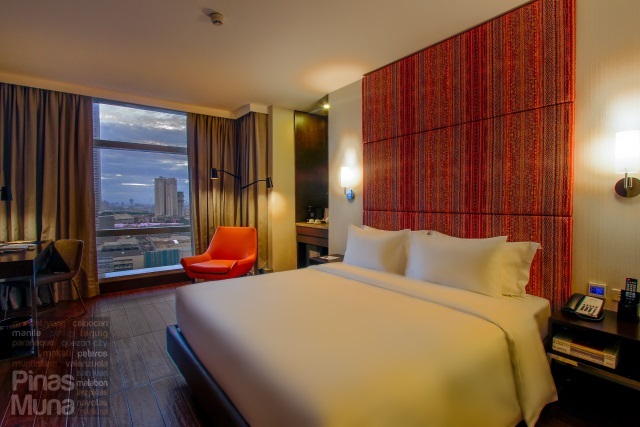 But if your are looking for a hotel with homey accommodation where you can relax in the comfort of your bed while enjoying modern conveniences and superb customer service, then Mercure Manila Ortigas is perfect for you. Although Mercure Manila Ortigas is still on soft opening, everything actually went well during our stay. Customer service was excellent, the rooms meet both local and international standards for a four star hotel in terms of amenities, and it is currently the most affordable internationally branded hotel in the country. Having said all these, I believe that Mercure Manila Ortigas can easily compete as a mid-range business hotel in Ortigas Center. PS: I was told that once completed, the rooms on the higher floors will have a different color theme, and the view of the city is also said to be more spectacular. We are excited to stay here again.